I am a massive fan of the iconic rock and roll band Queen. They are one of my favorite bands, with Brian May being one of my all-time guitar heroes. With that said, my opinion on this movie is far from impartial. 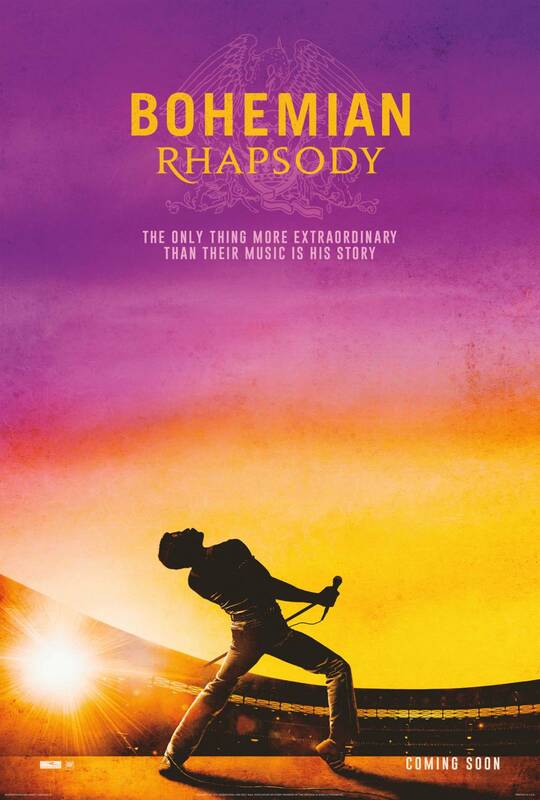 The first thing to keep in mind with “Bohemian Rhapsody” is that the movie is not about Freddy Mercury; it is about Queen and Mercury’s story provides a dramatic arc for the narrative. Which works well for the film because of Queen’s story lacking drama. Queen was (and is) more than just Freddy Mercury. The above mentioned Dr. May is one of the best guitar players of all time, Rodger Taylor is an excellent drummer, and John Decan plays bass — just kidding — Decan is a fantastic bassist. Rami Malek was fantastic as Freddy Mercury and when Queen’s iconic performance at Live Aid is recreated pretty much shot for shot — save for “We Will Rock You” and “Crazy Little Thing Called Love” — he becomes Mercury. Thankfully for Malek, there was that whole snafu over the potential achievement in popular film category at the Oscar’s earlier this year because he has a legitimate shot at the nomination. Any other year the lukewarm critical reception would have taken him out of the running. Some mostly minor historical issues aside, “A Night at the Opera” was named after the Marx Brother movie, not because of the operatic nature of “Bohemian Rhapsody”; and regarding dramatic license moving the AIDS diagnosis up in the chronology works. Moving it up allows the movie to end on an uplifting and inspirational — dare I say high — note. Instead of a somber one.